Our own Ozark Lee has written up, with pictures the repair on the ABS Module, this is on a '96 850, I suspect the repairable ones are all the same. DIY – ABS module repair. Our own Ozark Lee has written up, with pictures the repair on the ABS Module…this is on a ’96 850 but I suspect the repairable ones are all the same. Thanks Lee! The process at the car begins with removing fuse number 14 from the fuse box and then disconnecting the power connector and the signal connector from the ABS module. It is easiest to remove the signal connector first which is done by depressing the catch and lifting the connector shell straight up, The connector hood hinges and this releases the connector. If the car is to be driven while the module is being repaired it would likely be a good idea to wrap the connectors in a Baggy and to secure the connectors away from things that get hot. The next step is to remove the four Torx bolts that secure the module to the pump/modulator assembly. In my case with an normally aspirated engine I found that removing the air heater pipe from the airbox gave me much more room. Three of the four bolts come out easily but the fourth bolt, lower front, is largely blocked by the throttle cable. I found that putting the ratchet below the throttle cable worked the best. Once the torx bolts are removed and set aside the module is removed by dropping it an inch or so to clear the solenoid plungers. he next step is the hard step. Clearly they don’t want you to open the box. It has the press on retainers around the posts and the entire box has a silicone seal. The press on retainers were very corroded and rusted around the posts and after futzing with them for 20 minutes or so I just fired up the Dremel tool with a cutoff wheel and sliced through each of them and removed them. I then tried to release the silicone seal by using a small screwdriver and raking it vertically between the lid and the base, pulling the silicone out from between the top and the bottom housings. I was trying very hard to keep all of the plastic intact but I was unable to do so. In the end I might have been better off scoring the whole outer lip of the lower housing away with the Dremel tool from the start. After much scraping, prising, and breaking of the lower lip I was able to remove the top off of the module. Just a quick note to say thank you to Ozark for the superb original post, and to everyone who has done this and posted their results which adds confidence. I fixed my 1997 V70’s ABS module, hopefully permanently, on Sunday. I had to buy a torx bit set and a new gas soldering iron, as my 25watt electric one was not up to the job!!! Only tip I can add to the great comments was that I had better luck getting a good, shiny and even solder joint I could be confident will last, by using the hot air attachment rather than the solder bit on the big power connectors – even with a gas iron, they just absorb all the heat! This saved me over £500 and may have prevented the car being a write-off, as I thought this might not fix the issue and be good money after bad. Now, I think I will keep the car and sort it out 100% DIY – I want to tackle my SRS warning light, and find out why my LPG conversion stopped working a year ago! God bless the Internet, sites like this are its soul! 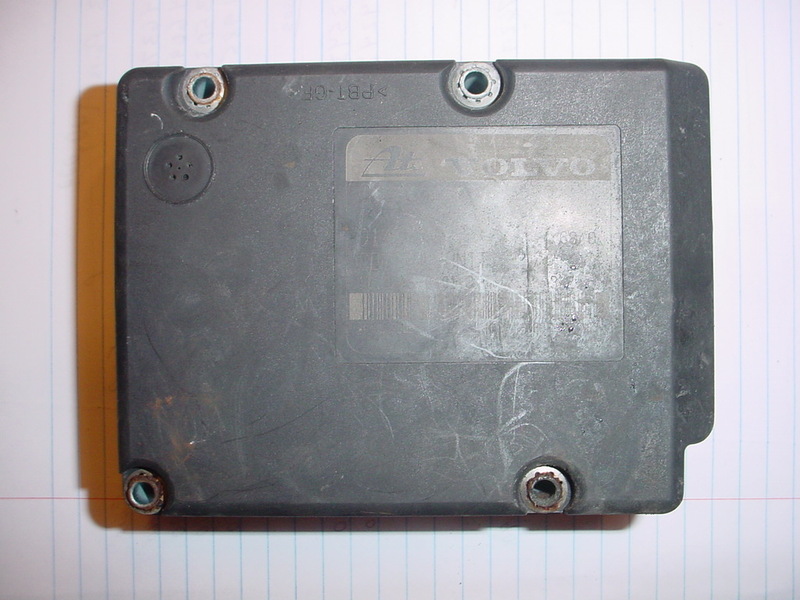 Can I swap out my 2001 s80 abs module with one from a junk yard?